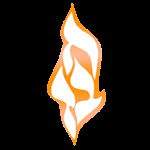 It was in the year 1974 that Rabbi and Mrs. Zalman and Esther Grossbaum arrived in Toronto to undertake the newly established Chabad Lubavitch organization. Starting with a modest building on the corner of Bathurst and Edinburgh Drive in North York, Rabbi and Esther Grossbaum ventured out to bring the light and warmth of Judaism to the streets of Toronto. After just one year, Rabbi and Mrs. Yosef and Zelda Gansburg joined the couple to expand the now growing Chabad Centre. Rabbi Gansburg was named the Educational Director of Chabad Lubavitch and began classes for adults on various topics in Jewish literature. At the helm of the rabbinical field through the years is Rabbi Dovid Schochet. With his vast knowledge and analytical mind Rabbi Schochet continues to help hundreds of people throughout the GTA in applying the Code of Jewish law to contemporary circumstances and conditions. Yet, as the Chabad Community continued to grown and the outreach endeavours intensified the need for larger facilities became obvious. In 1980 Chabad Lubavitch acquired a 3 acre site in the up-and-coming Village of Thornhill. And by the summer of 1982, the 28,000 sq. ft. Chabad Lubavitch Community Centre was completed and inaugurated. By then Rabbi and Mrs. Moshe and Bassie Spalter joined the team as Administrator, and brought Chabad Lubavitch into the new age of technology. The programs and projects of Chabad Lubavitch continued to grow, and by the time the new millennium approached, Chabad Lubavitch was one of the fastest growing and most vibrant communities in the GTA. At the helm of the Lubavitch Day Camp is Mrs. Esther Steinmetz. Established in 1976 the summer program enjoys an annual enrollment of some 600 campers and provides employment for over 200 teenagers. In 2008 Chabad Lubavitch purchased a 207 acre site in Halliburton along the shores of Basshaunt Lake for an overnight camp. After developing and building the infrastructure, the sprawling oasis assumed the moniker Gan Israel, the name the Lubavitcher Rebbe suggested in 1957 for the first Chabad overnight camp in Ellenville NY. This project is under the stewardship of Rabbi Yitzchak and Goldy Grossbaum. Through the inspiration and blessings of the Lubavitcher Rebbe, Rabbi Menchem Mendel Schneerson, of blessed memory, Chabad Lubavitch of Ontario continued to grow and flourish. Now after 40 years there are now some 23 satellite centre strategically positioned across the GTA and beyond. So too, there are Chabad House student centres at all Universities along the southern rim of Ontario.